This high quality seat towels fits most standard car and truck seats and has elastic straps that hold the decorative and functional towel in place. 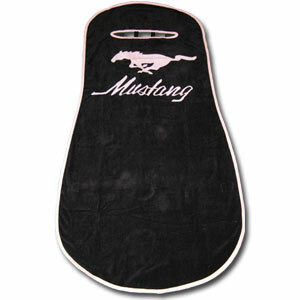 The Pink Mustang logo is featured boldly on the center of the towel. 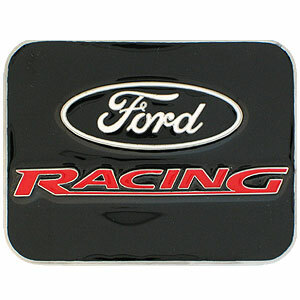 Officially licensed Ford belt buckle featuring the Ford oval in a hand enameled finish. Our Ford candle set features two scented candles with the Ford oval emblem sculpted in zinc with a hand enameled finish. Our Ford bi-fold wallet is made of high quality fine grain leather with the Ford oval emblem sculpted in zinc with a hand enameled finish. Our Ford money clip/cardholder is made of high quality fine grain leather with the Ford oval emblem sculpted in zinc with a hand enameled finish. The money clip/cardholder features a money clip on the back and card slots on the back. 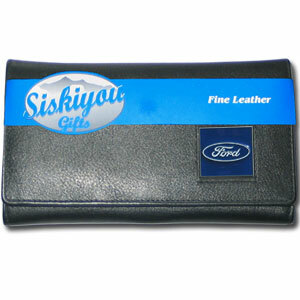 This Ford Deluxe Genuine Leather Checkbook is made of high quality leather and includes, card holder, clear ID window and inside zipper pocket for added storage. The checkbook cover features a Ford Oval emblem sculpted in zinc with a hand enameled finish. This Ford genuine leather women's pocketbook features 9 credit card slots, a windowed ID slot, spacious front pocket, inner pocket and zippered coin pocket. The front of the Ford Genuine Leather Women's Wallet features the Ford oval emblem sculpted in zinc with a hand enameled finish. 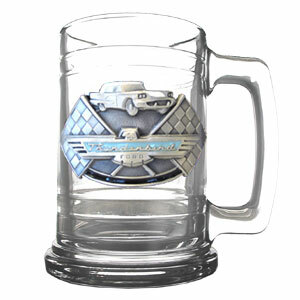 These Ford 9 oz rocks glass features the Ford oval emblem sculpted in zinc with a hand enameled finish. 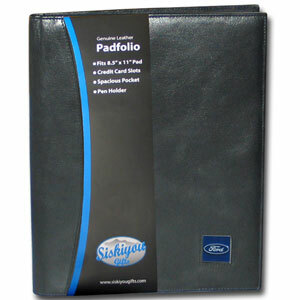 This Ford genuine leather portfolio fits an 8 1/2" x 11" writing pad and includes slots for your credit cards, a spacious pocket and a pen holder. 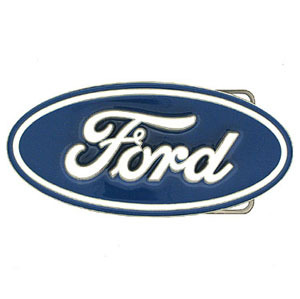 The front features a hand painted metal square with the Ford oval logo. 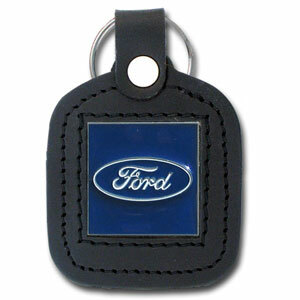 This Ford leather key ring features the Ford oval sculpted in zinc with a hand enameled finish. 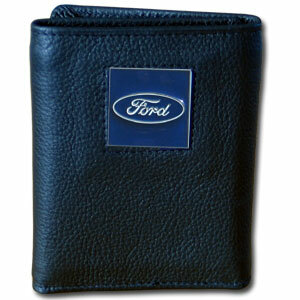 This Ford Genuine Leather Checkbook Cover is made of high quality fine grain leather with the Ford oval emblem sculpted in zinc with a hand enameled finish. 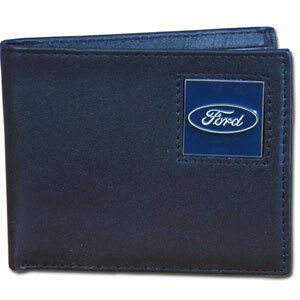 This Ford Genuine Leather Tri-fold Wallet is made of high quality fine grain leather with the Ford oval emblem sculpted in zinc with a hand enameled finish. 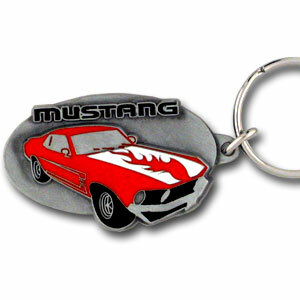 This intricately carved Ford Mustang Key Ring is hand enameled featuring a hot mustang with flames. 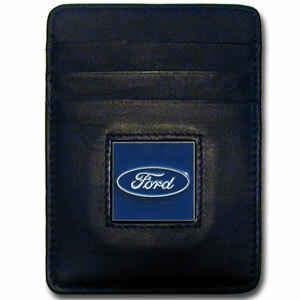 Check out our entire line of Ford merchandise! 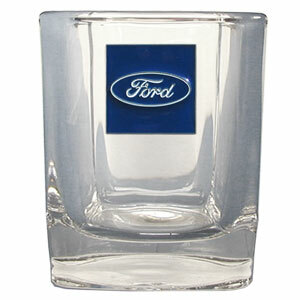 Check out our entire line of Ford merchandise! 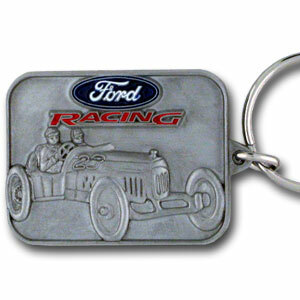 This intricately carved Ford Racing key ring is hand enameled featuring Ford Racing. 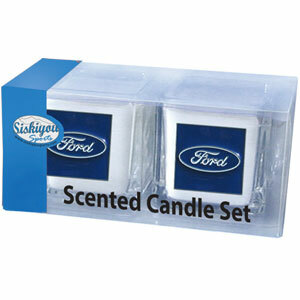 Check out our entire line of Ford merchandise! 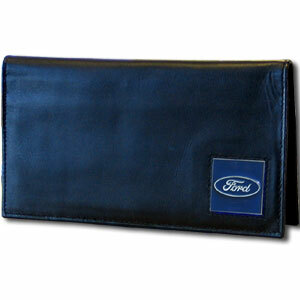 Check out our entire line of Ford merchandise! 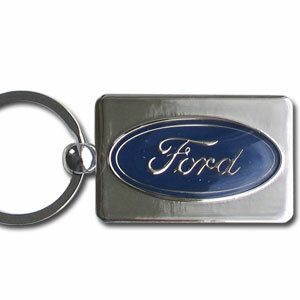 Officially license Ford Oval chrome key chain with the Ford logo. 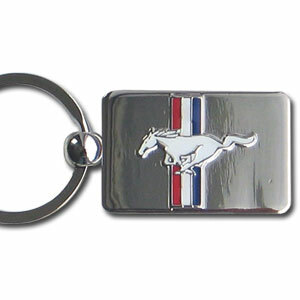 Officially license chrome key chain with the Mustang logo. 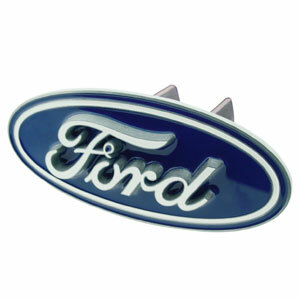 This finely sculpted and hand enameled Ford Mustand belt buckle contains exceptional 3D detailing. Siskiyou's unique buckle designs often become collector's items and are unequaled with the best craftsmanship. 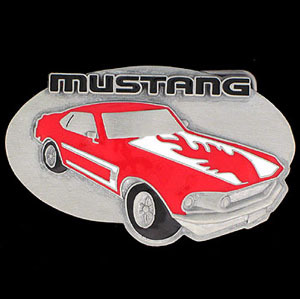 Our Ford Racing belt buckle is finely sculpted and hand painted in vibrant color. Siskiyou's buckles often become collector's items. 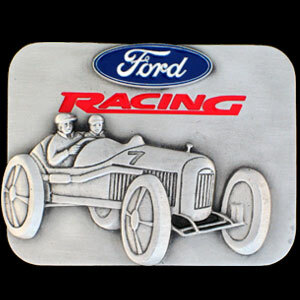 This finely sculpted and hand enameled Ford Racing with Car belt buckle contains exceptional 3D detailing. Siskiyou's unique buckle designs often become collector's items and are unequaled with the best craftsmanship. This Ford Logo Trailer Hitch Cover is hand painted with 3-D carved logo. Hardware included. Fits standard hitches. Enameled on durable, rust-proof zinc. Fits Class II and Class III hitches. Check out our extensive line of automotive accessories! 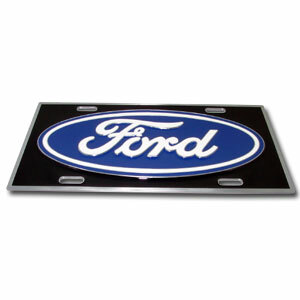 This Ford 3-D zinc license plates are made for your automobile but also great to display at home or work. Our license plates are hand painted and carved with great detail and the colorful, 11 3/4 x 5 13/16" 3-D design will get them noticed while pre-game tailgating or in bumper-to-bumper traffic. 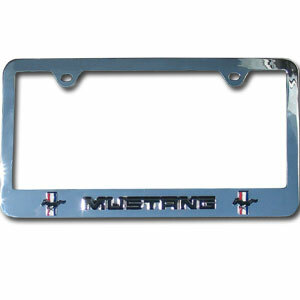 Our license plate tag frames are made of durable zinc and are chrome plated. They feature finely carved 3D detail. Check out our extensive line of automotive merchandise!